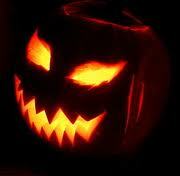 Hallow’s Eve: the night before All Saint’s Day, when dark things walk the earth. Good folk need protective rituals to keep their houses safe from harm. People may call it Fright Night, but actually the things associated with Hallowe’en are designed to ward off evil forces. In Celtic times, late autumn marked the feast of Samhain. The end of the year was celebrated with a great fire festival. At this time the veil between the worlds was thin, and ghosts walked the earth. Rituals were needed to protect the living from the dangers of the spirit world. Most of our modern customs date from traditional Celtic ceremonies. Bonfires were lit to combat the forces of darkness. Turnip lanterns were whittled into fearsome faces to scare away evil spirits: no ghost would enter if they thought a fiercer fiend already lived within. Scottish settlers took this custom to America, where they found orange pumpkins much easier to carve. Bobbing for apples was a traditional children’s game. Apples are an ancient fertility symbol, ripening in autumn but keeping well until the season of renewal. Their pentagramic cross-section is an esoteric symbol of wisdom, as recalled in the Bible story. 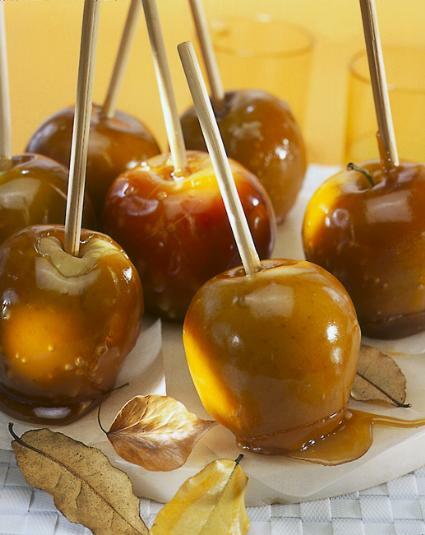 They can be dipped in honey, showing the sweetness of life – or more conveniently coated in toffee. 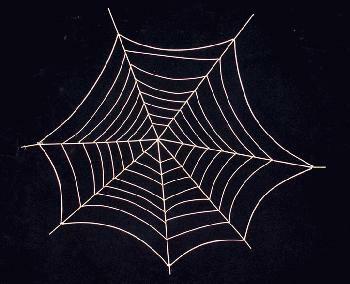 Spider webs recall the ‘web of wyrd’ that binds all living things together. Wyrd is an old Celtic concept reflecting the interconnected nature of everything in this world. It includes ideas of ecology, fate and karma (Sanskrit and Celtic traditions are fundamentally related). Macbeth’s ‘wyrd sisters’ are not strange, but wise women. Witches are wise women, of course: herbalists, healers and midwives. They incurred the wrath of the medieval church, which cared more for saving souls than healing bodies. 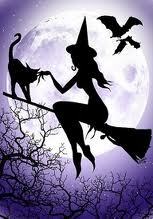 Henceforth witches were seen as evil crones who commanded supernatural powers due to a pact with the devil. The witch’s black cloak and pointed hat are the colour of darkness. Her companion is a cat, associated with the pagan mother goddess. Her broom combines a phallic shaft with bristly bush, a blatant fertility symbol. Her cauldron recalls the regenerative cauldron of life. 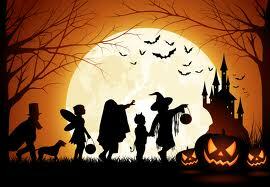 Hallowe’en has taken off as one of the major events of the childhood year. Non-celebrants often criticize it as a combination of threats and gluttony. But now you know the origins, you’ll see it’s not so bad. The real time for trouble is Mischief Night. On 30th October, Yorkshire lads and lasses traditionally delivered the tricks without the treats. Anyone with a grudge would exploit it ruthlessly. Doors would be daubed, carts thrown in the village pond, and much worse. Which would you choose to celebrate?? Visit my Author Page for more posts and pictures; follow me on Twitter @janebaileybain. If you enjoyed this post, use the buttons to Share on Facebook, Twitter and Stumbleupon. This entry was posted in History, Mythology and tagged All Hallow's Eve, bonfire, Celtic, customs, Halloween, Mischief Night, pictures, protective, pumpkin, Samhain, traditions, witch, witches. Bookmark the permalink.